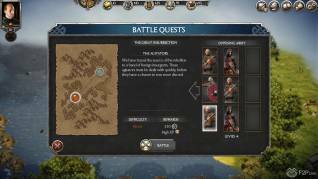 Creative Assembly most recently released a new addition to the Total War franchise: Total War Battles: Kingdom, a medieval themed cross-platform Steam meets mobile app RTS MMO that puts us in charge of our own Castle and lands. 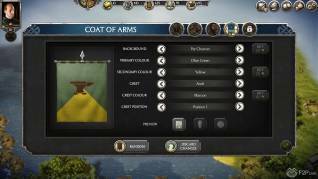 The game follows suit with many other mobile/browser style strategy games, a balance of resource acquisition and management combined with building and expanding and Empire and training up your army for real time combat with AI or players. The game looks great, the features are simple to use but have some pretty innovative and robust elements to them that we most definitely haven’t seen in other free to play RTS games; all of that said there is one massive thing that should be highlighted. This in no way is a Total War game. 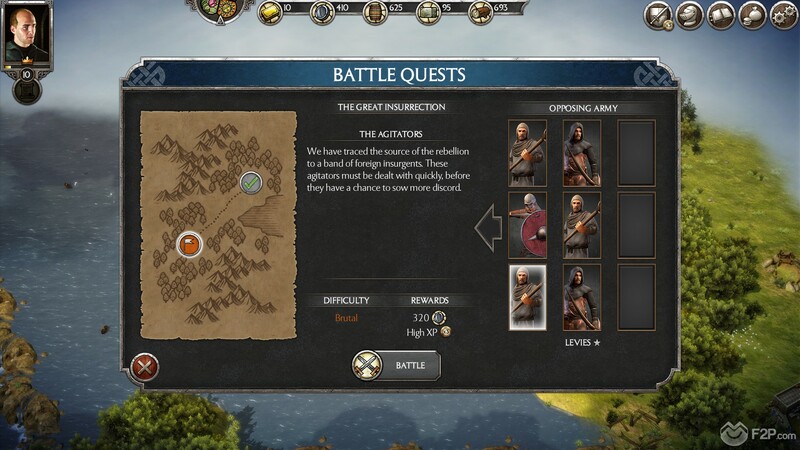 Other than the graphics there is nothing really that resembles the standard Total War games that we’re familiar with from the developers, so if you’re expecting the large scale battles that we see in the standard franchise or even Arena (albeit you don’t control the entire army yourself) you’re in for a disappointment; Total War Battles definitely stands on its own. 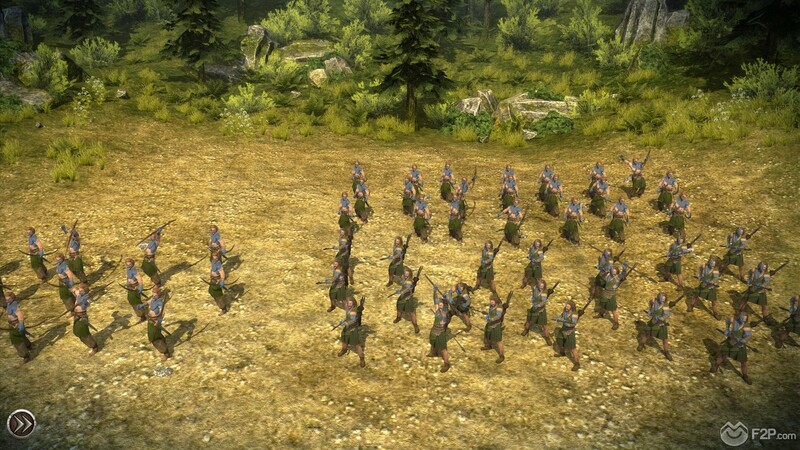 This isn’t a bad thing, the game is fun of its own accord, but anyone loading up the app expecting a more mobile accessible version of the other Total War games is going to find themselves playing a completely different game and as long as you can accept that then we feel you’ll enjoy what has been created. 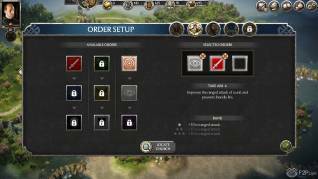 When starting up for the first time we begin with a Castle, a few production-based buildings (woodcutter, quarry and a farm with a few surrounding crop fields) and a land that needs some much needed repair. The map is a hex based system, which we’re more used to seeing in Sid Meier’s Civilization and each building you construct around your main Castle takes up one of these hexes. The initial tutorial mode did a great job of demonstrating the land manipulating which is a very cool system; starting out we had a dam that had burst and flooded the town creating an intruding line of river tiles, we could build a new dam on the lake-river tile to stop the river flowing into the town and then use the terrain tool to increase the height of the land to stop the lake flowing into it (as water tiles naturally flow into any tiles that are on the same height level or lower). This also meant that as our farmland had dried up we could lower the terrain hexes near the lake to create our own river leading to our crops to irrigate them. From here you have the more traditional elements such as clearing forest tiles with your Woodcutter to give you resources and buildable land, or constructing bridges over rivers to link your roads to new locations; it was all very well done. Buildings and features in general are unlocked as you level up, so there’s a simple linear progression to gameplay as players are learning new things, after nearly three hours in the game though we were only at level 8 and still there were a lot of buildings and features locked so it’s a steady process. Constructing buildings isn’t as simple as just putting them down wherever you like, there is a synergy between buildings that they grant boosts when they are next to certain other types of building such as Residential buildings being built next to Churches, but in general all building/city tiles need to connect to each other leading back to your Castle (with the exception of some of the production buildings). 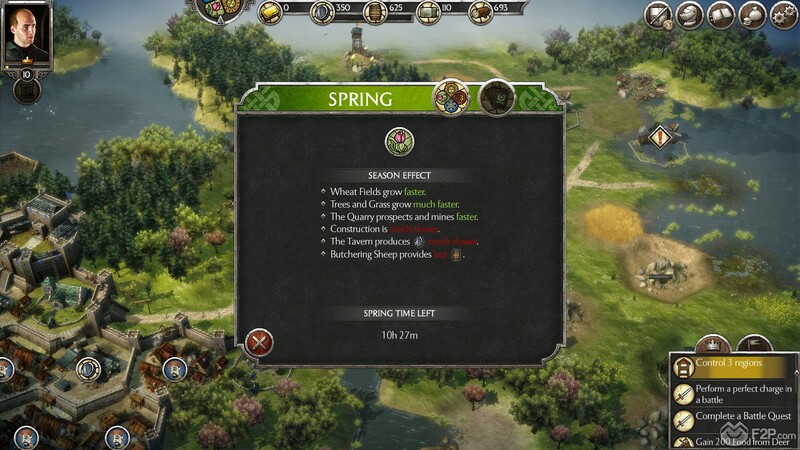 The main portion of the game is very PVE orientated (at least the portion up to level 8, we’re not fully sure what might change beyond that) with your own sort of mini campaign trying to expand your city and fight bandits, take on PVE Missions and larger Battle Quests (a series of PVE battles) and trying to claim new areas by dealing with the rival Houses that have taken them over. Our first instance of this was when we built a road up to our first watchtower, which introduced us to a Noble who would let us have his lands if we either paid tribute (more resources than we could afford) or use “Renown” which was a secondary means to unlock a new region. For our first region of Grasswell we had the option of defeating a “Challenging” mission, which was easy enough, however the second area of Wedgeford required us to achieve Rank 18 in the Duellist rankings; a PVP system we hadn’t actually unlocked access to yet, still we thought it was an interesting way to take over areas, though we’d have preferred a third “Kill them all!” option. 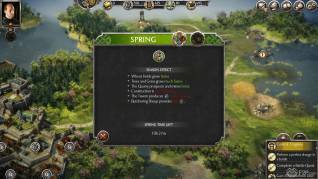 When it comes to killing them all the Combat system is the biggest thing that stands Kingdom out from the other Total War titles; players can build up their army by constructing military building such as barracks and stables depending on the type of unit they want; each building allows you to train one new unit to add to your total roster of available units, but you are able to switch them in and out of your active army. Your army is a potential nine units in a 3 x 3 formation indicating your front line, mid and rear and we got to move our units around to wherever we would get the most benefit based upon the opponents we would be facing. Similar to Total War (but not exclusive to it) some units dominate others, but in turn are weaker against different units, leading to a rock-paper-scissors setup. 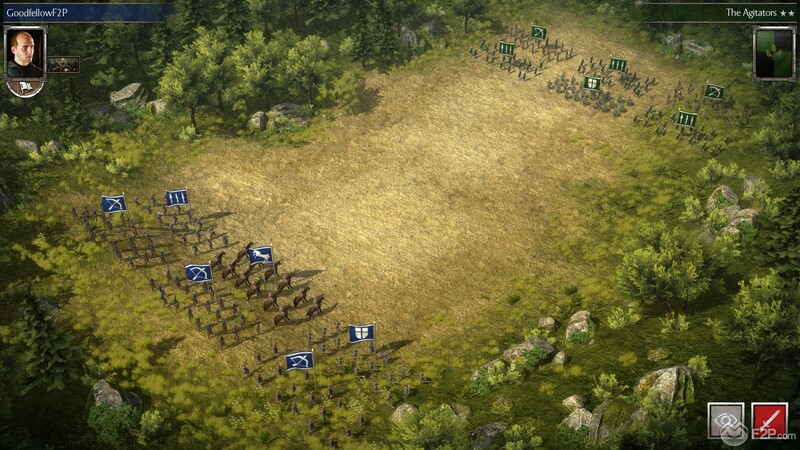 Actual combat sees the two armies facing off against each other on either side of a battlefield, aside from moving the units around prior to the start of the fight in response to the enemies’ formation (e.g. moving your frontline cavalry into a different lane if they’re facing a group of spearmen) there is a lot less control over the movement of your units once battle begins. 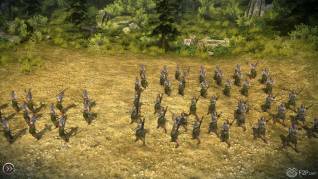 Each unit has a variety of actions it can perform, such as switching lanes, charging into battle, taunting enemies or choosing a target if using a ranged unit. 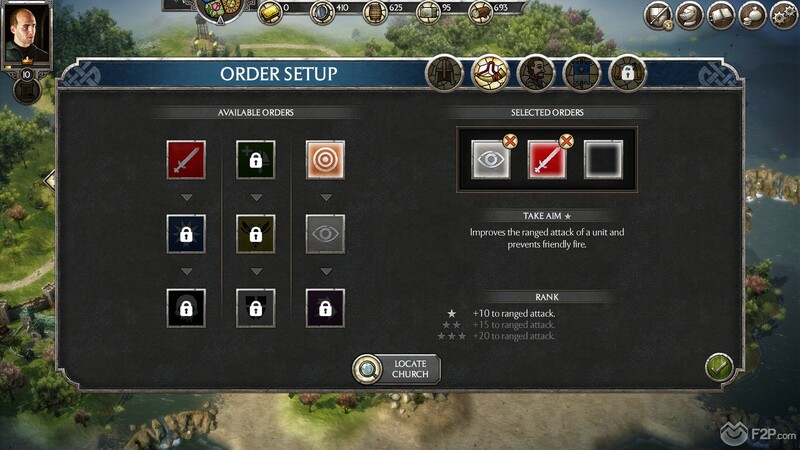 Other skills can be unlocked through the Church building, which gives you religious artefacts for your army to carry into battle and grants them skills, as well as any unlocked skills for each individual unit as when they win a fight each active unit gets their own portion of XP that is used to upgrade them and make them stronger. Our experience with the game was enjoyable, the combat is possibly the weakest element but only because it’s hard to not come into a Total War game without expectations, but it’s still a lot more interactive and tactical than a lot of other games in the genre. The PVP aspect we were unfortunately unable to check out due to our level, and whilst we’re not 100% sure it doesn’t seem like there’s necessarily any impact other players can have on each-other’s territory, which seems almost exclusively a PVE aspect.